History was made once again as the 2016 Scottish Six Days Trial (SSDT) came to close with Dougie Lampkin - Vertigo sealing an unprecedented and record extending tenth win in this World famous event. Lampkin took a six-mark lead into the final day and looked well in command having only parted with a single dab before arriving at the much revered sections on Ben Nevis. Riding at the front of the field Dougie faced an incredibly tough and tense task as he battled his way through the remaining slippery hazards for the loss of a further four marks. Lampkin's total of five on the day proved to be Saturday's best performance as his main rival Michael Brown - Gas Gas failed to capitalise on his late starting position that meant the sections were in much better shape by the time he arrived at the two decisive groups ahead of the final test back in the centre of Fort William. Brown's score of eight for the day was enough to secure him the runners up spot overall, nine marks back from Lampkin, but still six marks in front of third placed James Dabill - Vertigo who matched Michael's tally on the last day. Former Youth World Champion Jack Sheppard - Beta rounded off what has been his best week in the Scottish Highlands with yet another strong showing, his seven-mark total on day six saw him claim a well-deserved fourth spot overall. Sam Haslam - Gas Gas out-rode his team mate Alexz Wigg - Gas Gas on the final day to end the week four points clear of his friend and rival as this southern based pairing secured fifth and sixth spots respectively. The southern theme continued in seventh place too, with previous SSDT winner Sam Connor - Beta moving up two places on the last day of the competition much thanks to a solid closing performance. His late success was at the expense of local representative Gary MacDonald - Scorpa who eventually ended up in perhaps a slightly disappointing eighth place after having threatened the higher order earlier in the week. It was a similar kind of story for Monday's leader Joe Baker - Sherco who slipped to ninth position overall come the finish, leaving Tom Sagar - Sherco to round out the top ten rankings. Young Tom Hooper - Sherco signed off on an outstanding SSDT debut by claiming twentieth place overall and easily winning the award for best newcomer despite riding a small capacity bike in what is still regarded as one of the toughest events in the trials calendar. Equally impressive was the performance of reigning FIM Women's Trial World Champion, Emma Bristow - Sherco who sealed forty second place overall whilst also dominating the fight to be the best female rider by a huge margin. Gary MacDonald ended the week as the highest placed Scottish rider, which was hopefully some consolation for his final position overall. Fitting, it was Dougie Lampkin who added the best over 40 award to his main prize to reinforce the scale of his achievement. Dougie's tenth SSDT victory coming a little over a month after the sad passing of his father Martin, who was a former three times winner of the Scottish himself, and whom will have been heavily in Dougie's thoughts throughout what has been an extraordinary week for the veteran champion even by his standards. Scottish Six Days Trial 2016 Day 5 from John (Bigfoot) Hird on Vimeo. Finally, the sun shone brightly overhead as the 2016 Scottish Six Days Trial (SSDT) reached day five. Whilst there was a marked change in the weather, the name at the top of the leader board remained the same as Dougie Lampkin - Vertigo moved a step closer to clinching a tenth SSDT title. Lampkin was clean on the day to move six marks of his main challenger Michael Brown - Gas Gas who dropped two today and is realistically the only rider who can stop Dougie from extending his historic winning run at this event. The almost one-hundred mile loop around the peninsula proved as popular as ever, especially with the better weather adding to that special Friday feeling that signals that the event is almost at its end. Two new groups of sections plus an extra moor crossing meant that time proved tight for some of the riders. 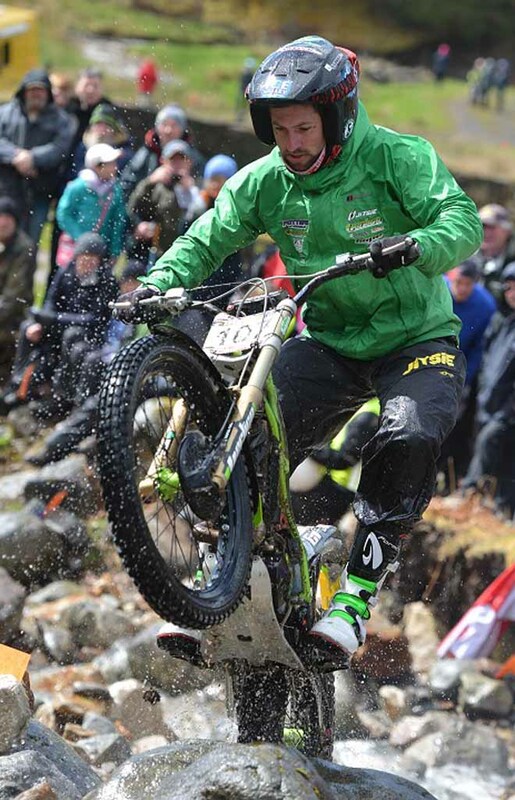 Two times SDDT winner James Dabill - Vertigo matched his team mate Lampkin by staying feet up throughout all of Friday's thirty sections to climb into third spot with just one day remaining. Jack Sheppard - Beta was also a man on a mission with his day loss of three marks seeing him move up into fourth position with a podium placing still a possibility. Both Sam Haslam - Gas Gas and Alexz Wigg - Gas Gas also made progress up the overall order as they almost matched each other mark for mark today, dropping six and seven marks apiece respectively. They now occupy fifth and sixth places, but will be aware of just how close it is between them and the riders who have them in their sights. Local rider Gary MacDonald - Scorpa was the one of the riders to suffer badly today as he parted with fifteen marks to slip to seventh spot with just one day to ride. Early leader Joe Baker - Sherco was another one of the big losers on the day, his heavy loss of twenty marks saw him fall from third to eighth spot in just one day. Sam Connor - Beta also didn't find Friday's route to his liking as he dropped to ninth in the general rankings. For the first time this week Jonathan Richardson - Sherco moved into the top ten overall thanks to his ten mark loss today. Whilst having slipped a few places down the overall rankings to eighteenth overall, Tom Hooper - Sherco continues to be by far the best newcomer, his ride on the small capacity machine has been one of the real highlights of the week. Equally, Emma Bristow - Sherco has once again shown her superiority in the female class and has dominated this category from day one as well moving up to well inside the top forty overall. 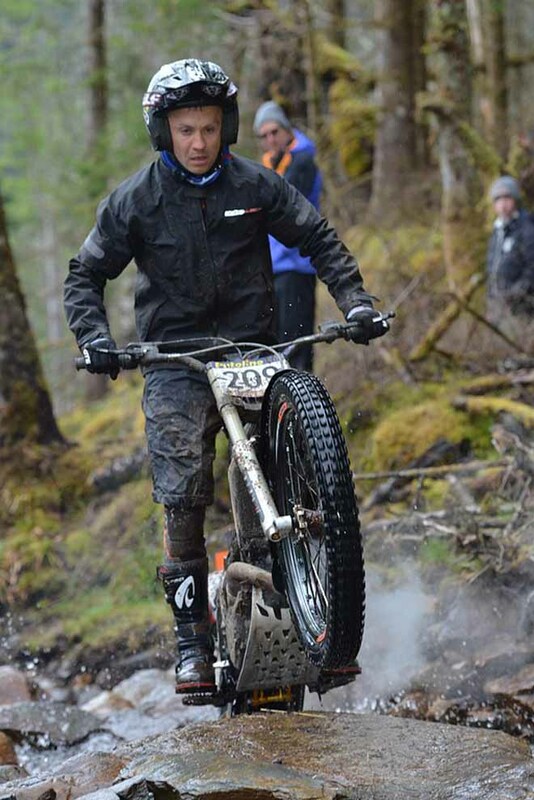 Few would bet against both Gary MacDonald and Dougie Lampkin lifting the best Scottish rider and best rider over 40 respectively when the trial comes to a close tomorrow afternoon. Although only short in its total distance of fifty-nine miles, Saturday's classic route that takes in Pipeline in the morning before potentially climaxing on Ben Nevis later in the afternoon, will be the most important and significant in determining the eventual winner of the 2016 Scottish Six Days Trial. Thursday from John (Bigfoot) Hird on Vimeo. Better weather arrived just in time for the longest route of the week, as the 2016 Scottish Six Days Trial (SSDT) served up its typically demanding Thursday excursion that was over one hundred and twenty miles in total. 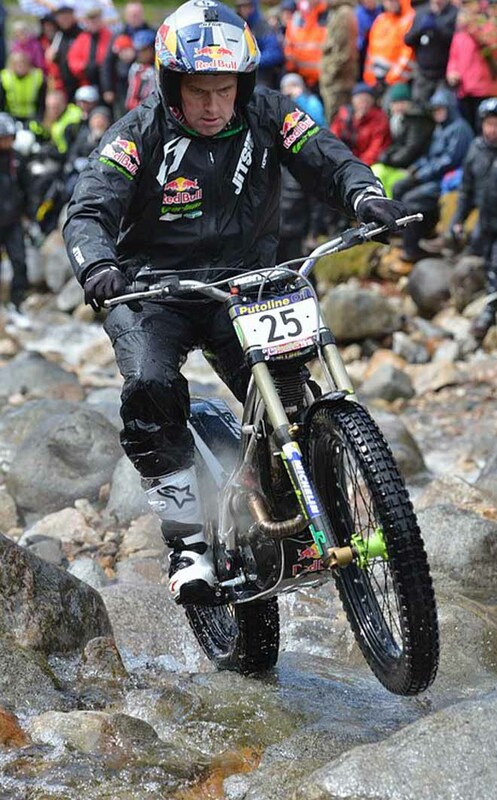 Defending SSDT champion Dougie Lampkin - Vertigo proved he was equal to the challenge by not losing a single mark on the day and in doing so regained the overall lead with two days remaining. Lampkin now heads Michael Brown - Gas Gas by five marks going into day five after last night's temporary leader dropped six marks today, his equal biggest daily score of the week his other six-mark total being on Tuesday. This principal pairing have now edged clear of the chasing pack with third place Joe Baker - Sherco losing further ground to his two main rivals, a situation that was worsened as Monday's leader suffered a five at the very last section of the day when his chain was derailed. World Championship contender James Dabill - Vertigo has now moved into fourth spot thanks to losing only one mark today and will be aware that he will need to deliver two more strong closing performances if he is to claim a place on the podium come Saturday evening. Gary MacDonald - Scorpa persists in keeping local interest amongst the front runners as he lost four marks to maintain his place inside the top five of the overall rankings. This being after four days of competition that has included almost one hundred and twenty sections to date, and with sixty still scheduled to ride. Jack Sheppard - Beta climbs to sixth overall as the rider from Suffolk continues to enjoy his best showing to date on terrain that is vastly different to that found in his home county. 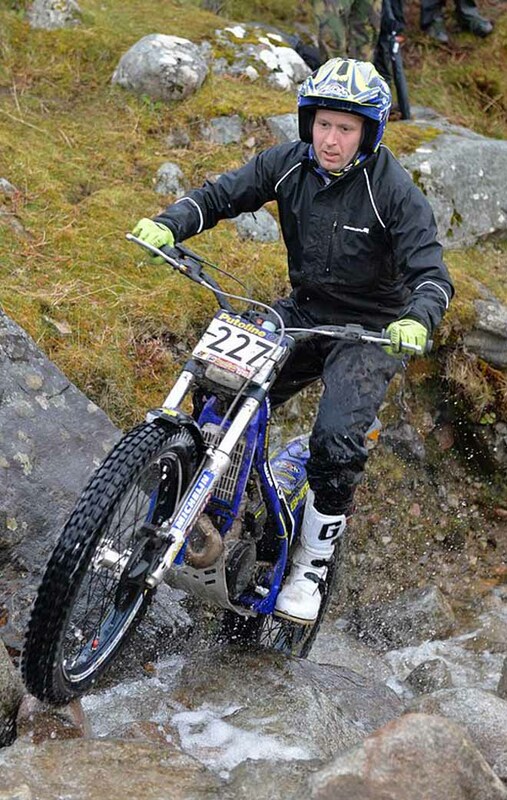 Southerner Sam Connor - Beta, who himself was an SSDT winner back in 2005, keeps seventh position overall as he once again confirmed his liking for this annual event in the Scottish Highlands. More southern based riders in the form of Alexz Wigg - Gas Gas and Sam Haslam - Gas Gas, who are both great friends and fierce rivals, currently find themselves locked in eighth and ninth positions respectively as only a handful of marks separate many of the latter places in the top ten. Tom Sagar - Sherco has the honour of being the last rider listed in this elite club at this stage of the competition. Showing no signs of tiring Tom Hooper - Sherco remains a revelation on his SSDT debut. Not only has he carved out a comfortable lead in his plight to take the best newcomer award, but he also continues to move up the overall rankings and now sits in fifteenth place. Top female rider Emma Bristow - Sherco enjoyed her best day to date to secure her place well clear at the top of the Women's class and also remain inside the top fifty overall. Gary MacDonald and Dougie Lampkin remain the clear favourites to walk off with the trophies for best Scottish rider and best rider over 40 respectively come the close of play on Saturday. Friday is a real favourite for both riders and spectators with a good selection of sections being easily accessible throughout the day from the road, which weaves its way around the peninsula opposite Fort William and will offer the remaining competitors at least some relief after having already endured four tough days of holding the handlebars. Scottish Six Days Trial 2016 Day 3 from John (Bigfoot) Hird on Vimeo. After a dull and dry start to Wednesday the rain that has so far defined the 2016 Scottish Six Days Tria (SSDT) once again returned later, during a day that saw Michael Brown - Gas Gas become the third different overall event leader in the opening three days of this historic competition. Brown dropped a single mark today to move ahead of yesterday's interim leader Dougie Lampkin - Vertigo who parted with three marks on day three. Just one mark separates this leading duo at halfway point at the 2016 SSDT. Monday's initial leader Joe Baker - Sherco dropped three marks on the third counting day. Now with a running total of thirteen marks Baker has a seven-mark lead over fourth placed Gary MacDonald - Scorpa who also suffered his heaviest day loss of the week today. It was very much the same story for James Dabill - Vertigo who also parted with ten marks today to find himself in fifth position overall at the mid-point in this year's SSDT. Former SSDT winner Alexz Wigg - Gas Gas was another front runner to endure a difficult day out on the Scottish hills as his daily score of thirteen marks saw him lose valuable ground to the riders fighting for the podium places. Sam Connor - Beta produced the best ride of the day as he remained feet up through all thirty sections to move up to seventh in the general classification. Following Wednesday's routing Jack Sheppard - Beta and James Lampkin - Beta now fill eighth and ninth positions overall respectively. Sam Haslam - Gas Gas recorded one of the best results today as he parted with only a single mark to match Brown and to slot in behind Connor in the top honours for day three. Haslam now finds himself inside the top ten much thanks to a series of consistent performances during the opening half of the week. Emma Bristow - Sherco, as in more recent years, is once again dominating the female class. Back inside the top fifty overall, Bristow now heads her nearest challenger Sandra Gomez - Gas Gas by over eighty marks. Best newcomer Tom Hooper - Sherco continues to impress on his SSDT debut. With a loss of only three marks today and thirty-eight in total to date, Tom has now ridden himself into an amazing seventeenth spot overall and now holds an eleven-mark lead over his nearest rival Dan Peace - Gas Gas. Fourth in the main order Gary MacDonald is by far the best Scottish rider, and barring a disaster is a clear favourite to lift this trophy come Saturday evening. The same can be said for Dougie Lampkin who is way out in front in terms of the over 40 class with three days still to ride. Tomorrow's route at one hundred and twenty-one miles is the longest of the week, and not surprisingly history shows that Thursday can often prove to be a decisive day in the fight to win the SSDT. Featuring famous sections such as Chairlift, Ba House, Gorton, Loch Woods and the final group at Fersit the sheer challenge of day four cannot be underestimated by any of the remaining riders irrespective if they are battling for the lead or simply looking to make it to the finish. Scottish Six Days Trial 2016 Day Two from John (Bigfoot) Hird on Vimeo. Under much brighter and drier skies compared to yesterday, yet still amidst wintery weather at times, the second day of the 2016 Scottish Six Days Trial (SSDT) saw defending champion Dougie Lampkin - Vertigo move to the top of the leader board thanks to his faultless display through Tuesday's full array of thirty sections. Hampered by his early starting number on Monday, Dougie took full advantage of his late riding position today - this being due to the usual daily group rotation process - as he made light work of the almost one-hundred-mile route that included several new groups of hazards in his bid to win the SSDT for an historic tenth time. Overnight leader Joe Baker - Sherco maintained his challenge at the upper end of the results thanks to another consistent showing and now sits third overall just two marks behind Lampkin going into Wednesday. Michael Brown - Gas Gas retains second position having parted with six marks today in what is a very congested leading pack. In fact, very little continues to separate several of the top placings with Baker sharing a total of ten marks with both Alexz Wigg - Gas Gas and Gary MacDonald - Scorpa, as a mere two marks splits the first five riders. Centenary SSDT winner James Dabill - Vertigo lost slight ground to his main rivals as he dropped seven marks today and slipped one position to sixth overall. 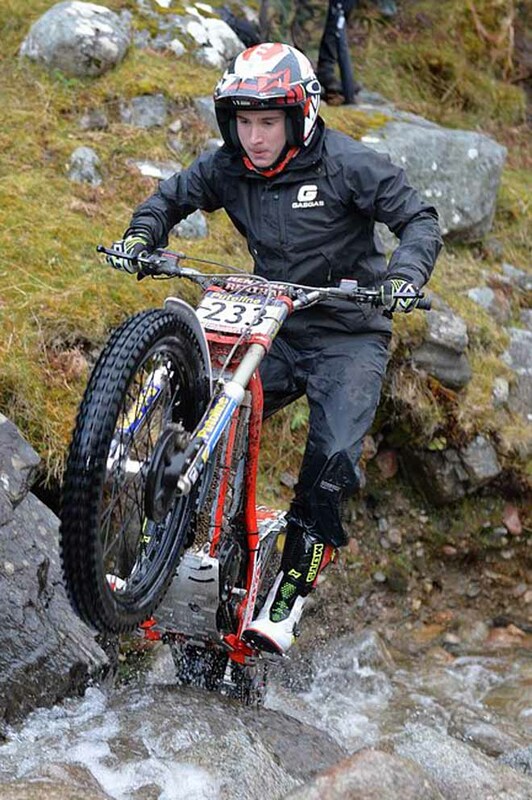 Welsh teenager Iwan Roberts - Beta was the big loser of the day as an unfortunate machine problem halted his assault. SSDT stalwarts Dan Thorpe - Gas Gas and James Lampkin - Beta remain in the hunt for major honours and are currently divided by Suffolk's Jack Sheppard - Beta as this trio occupy seventh, eighth and ninth positions respectively. Declan Bullock - Beta is the last man inside the top ten heading into day three, with all the leading protagonists being fully aware that one mistake may cost them several places. Young Tom Hooper - Sherco has moved up to twenty-fifth spot overall to further reinforce himself as the best newcomer, but currently he only enjoys a four mark margin over Dan Peace - Gas Gas who remains a real threat to win this award. In contrast, whilst having fallen ten places down the overall order Emma Bristow - Sherco remains the best female rider in this year's SSDT with a good lead over her nearest challenger Katy Sunter - Gas Gas. 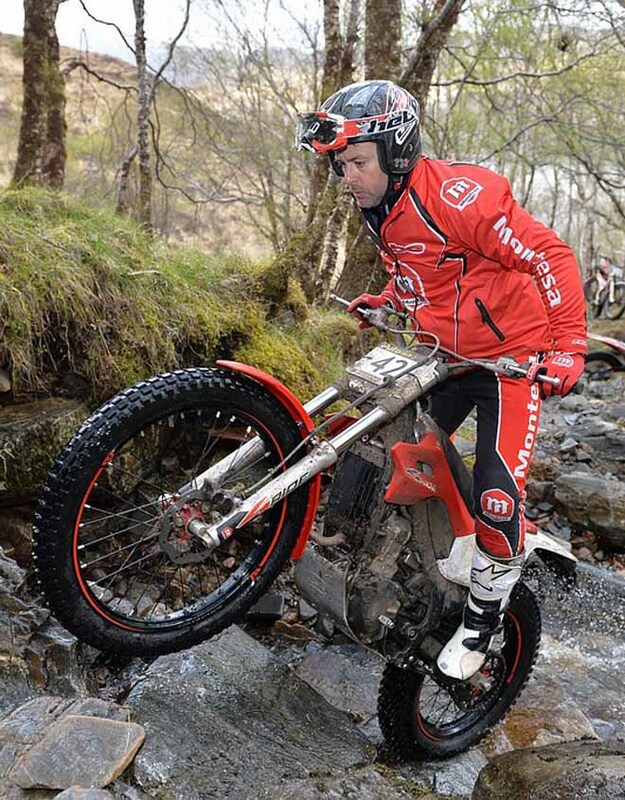 Gary MacDonald and Dougie Lampkin, not surprisingly, continue to top the categories for best Scottish rider and best competitor over 40 respectively. By the time the remaining riders complete tomorrow's seventy-five mile route they will have reached the halfway point in this year's SSDT and can then focus on the three final days that separate them from the finish. However, Wednesday should not be under estimated, as whilst the sections may be more familiar than today there is a lot of tough going that is bound to test the tiring bodies and machines. Devon's Joe Baker - Sherco came out on top of a rain lashed day one of the 2016 Scottish Six Days Trial (SSDT) that was contested over a reduced course due to the extreme conditions. 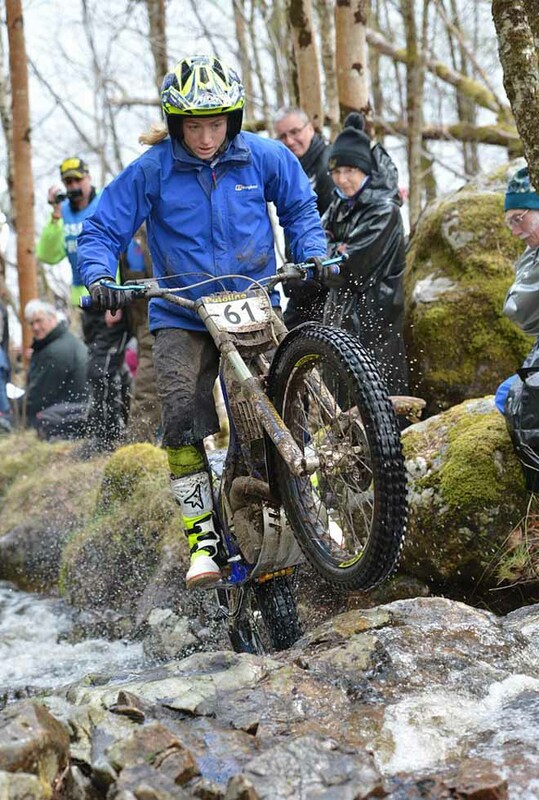 Torrential rain throughout Sunday night and for most of Monday morning played havoc with the opening day of this year's SSDT with the initial six sections at Leanachan having to be cancelled due to rapidly rising water levels. 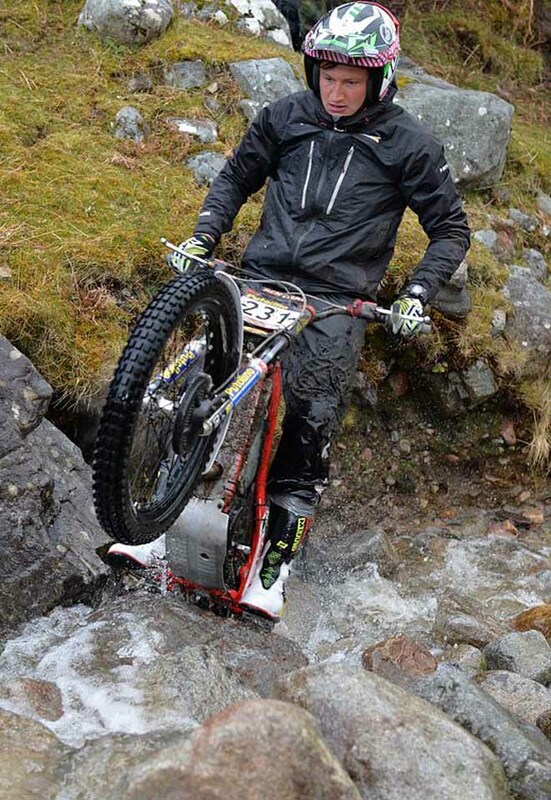 Two further hazards at The Lairig were also scrubbed for similar reasons as the two hundred and seventy-nine riders from twenty different nations fought their way from the parc ferme in Fort William over the sodden hills to the lunch stop in Kinlochleven. Thankfully whilst some heavy showers still persisted during the afternoon, the welcomed respite in the foul weather conditions did allow the torrents of water in the sections to subside marginally as the day wore on which offered the later riders a slightly shallower passage through the twenty-two sections that remained in play. Taking full advantage of this changing situation, the top five places at the end of day one are occupied by riders with starting numbers of two hundred and over. Baker holds a slim initial lead over Scarborough's Michael Brown - Gas Gas who dropped three marks over the reduced number of hazards. Brown enjoys the same slight margin over local rider Gary MacDonald - Scorpa who parted with four marks today. 2010 SSDT winner Alexz Wigg - Gas Gas also enjoyed a strong opening performance at the back of the field as he came home for the loss of just five marks despite the tricky going. Wigg is not the only previous SSDT victor who is in early contention with both two times champion James Dabill - Vertigo and current title holder and already nine times SSDT winner Dougie Lampkin - Vertigo currently holding fifth and sixth positions with scores of six and eight respectively. Nineteen-year-old Welsh rider Iwan Roberts - Beta shares the same marks as Lampkin in seventh place as the youngster brought his great recent World Championship form to this classic event. Dougie's younger cousin James Lampkin - Beta made sure that this famous motorcycling family is well represented at the sharp end as he slotted into eighth spot leaving James Stones - Sherco and Chris Pearson - Sherco to round out the top ten on the opening day where the weather was the headline story. Tom Hooper - Sherco has grabbed the initial advantage in the fight to become best newcomer, his total of nineteen marks putting him one place inside the top thirty after the first big test of the week. Emma Bristow - Sherco started the defence of her ladies SSDT title with a brave first day showing as she placed in forty-second overall against her male rivals to be the highest ranked female rider on day one. Gary MacDonald flies the home flag as best Scottish rider at this stage. 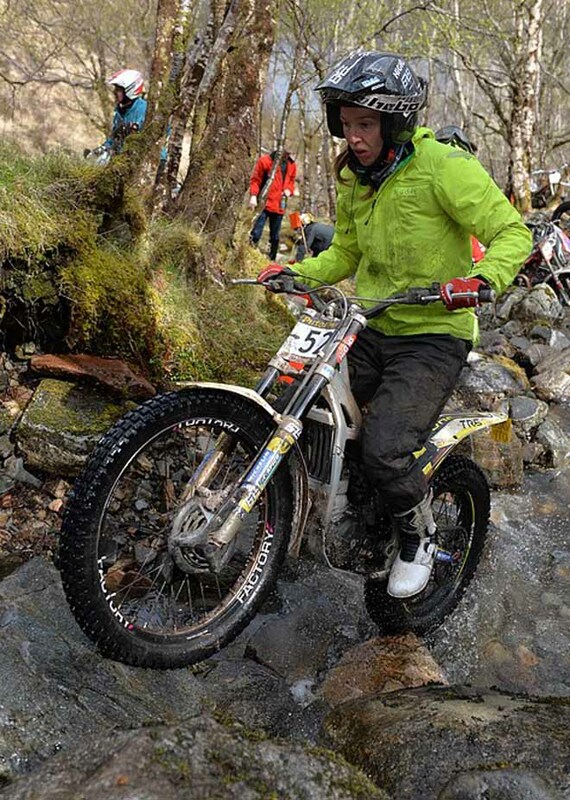 Perhaps as was expected, having recently turned forty earlier this year, Dougie Lampkin is in control of the over 40 class but will be less concerned with this award as he bids to retain the main trophy. Tomorrow's second day could throw up a few surprises with the ninety-three-mile route including several new group of sections with rain again forecast, albeit predicted to be lighter and less persistent than today. Sulle zone del Ben Nevis lascia 4 punti che sommati a quello perso in tutte le precedenti, risultano ancora la miglior prestazione della giornata. Brown e Dabill mantengono le posizioni. Michele Bosi chiude ad un onorevole 51° posto. Ritirati gli altri 5 italiani che avevano tentato l'avventura. Come da tradizione nel giovedì il giro è il più lungo, circa 120 miglia. Brown insegue a 5 punti davanti a Baker, mentre Dabill sale al quarto posto. Bosi resiste al 46-esimo posto. Michael Brown è il terzo leader in tre giorni Il pilota Gas Gas lascia un solo piede sulle 30 zone di mercoledì in cui la pioggia ha dinuovo caratterizzato la giornata, dopo una ingannevole partenza col sole. Lampkin (3) è dunque scivolato in secoda posizione, davanti al vincitore del primo giorno, Joe Baker. Dopo un primo giorno con un tempo classico di queste terre, ovvero alternanza di pioggia e sole, il martedì è stato più "asciutto" ma con temperature invernali.